People's Choice Awards! Castle Fandom Voting Together - Always! It's that time of year again where we unite as a fandom for the good of Castle! That's right! It's People Choice Awards time! Currently nominee selections are happening which is the first step towards Castle sweeping its categories at the People's Choice Awards. The top 5 nominees from each category become the official nominees for the People's Choice Awards so its very important that we get on the final ballot! So Stanatics, Fillionaires, Castillions and everyone unite because we can't do it without the whole fandom working together! To make things easier we have made a voting guide for you to make the process quick and easy so lets get voting! Click to be sent directly to the voting page and be sure to vote for all 5! 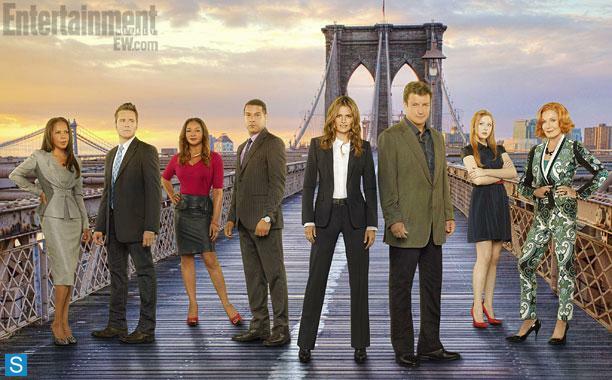 Vote Castle for Favorite TV Crime Drama! Vote Nathan Fillion for Favorite Dramatic TV Actor! Vote Stana Katic for Favorite Dramatic TV Actress! Vote Ryan and Esposito for Favorite TV Bromance! Vote Castle and Beckett for Favorite On-Screen Chemistry! Vote now and Vote often! This round of voting helps secure Castle a spot on the official ballot and I want to see us represented in each of these categories! Spread the word!